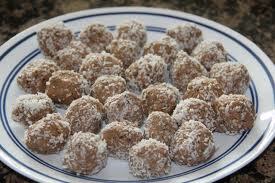 I have been with my sister many times when she pulls out the CHOCOLATE COCONUT CHIA PROTEIN BALLS. EVERY time the vote is unanimous, THEY ARE THE BOMB!!! You’d think people were eating homemade chocolate gooey brownies topped with fudge frosting or something!! These are definitely one of the BEST healthy snacks! I like to make a batch for my kids when they get home from school and they’re acting like they haven’t eaten for DAYS! An excellent “GO TO” snack! As always though EVERYTHING IN MODERATION, right?? My sister has the recipe on her blog happybeinghealthy.com. Check it out! I’ll post it below as well. Nutritional Information (2 balls): Calories: 155, Fat: 8 g, Cholesterol: 11 mg, Sodium: 11 mg, Total Carbs: 15.5 g, Fiber: 2 g, Sugar: 10.5 g, Protein 7 g.
One alteration I make is with the honey. I think honey is a little strong, so I use 1/2 honey and 1/2 agave nectar. I buy my chocolate protein powder at COSTCO. The CHIA SEEDS were a little hard to find, but definitely worth it!! I found them at WHOLE FOODS. I think I’ll go make a batch NOW!!! 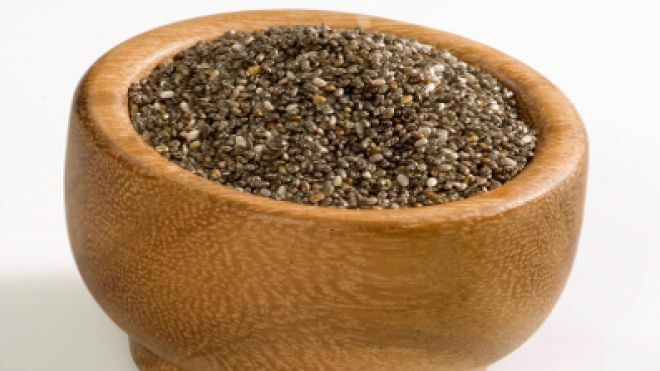 I looked up the healthy benefits of Chia Seeds and found a great article HERE!! Check it out! They include fiber, omega fatty acids, calcium, antioxidants, and protein!! HAVE A Great and Marvelous weekend! !